Touch and explore nature! 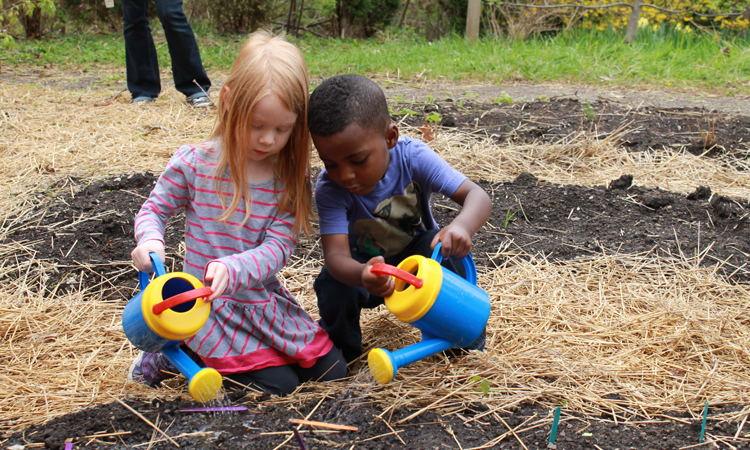 Munchkins in the Garden is comprised of two parts – full-class guided exploration activities, and small-group, hands-on learning. Students will have the opportunity to plant a seed or bulb in the Teaching Garden’s organic vegetable beds, touch and learn about composter worms and explore the colours, sounds and textures of the garden and arboretum. NEW! This program is designed for slightly older children, or for groups who have already participated in Munchkins in the Garden and would like to come back for a different program. Garden Stewards focus on patterns in nature, sorting and classifying natural items and phenomena, and on helping children develop an awareness of nature around them. Indoor programs are available on special request or when the weather prohibits an outdoor activities.